ANGA COM has been Europe’s leading business platform for broadband and content providers for more than 10 years. Servus TV didn’t want to miss out on this, and therefore secured a prominent position in the lobby of the event building. 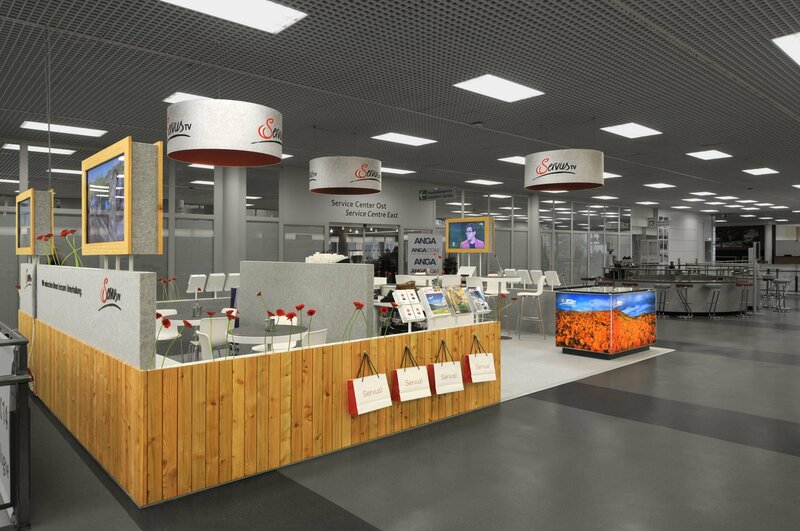 The contract for creating a suitable booth concept was awarded to NEONRED. With its typical elements, the stand radiated a cosy, homely atmosphere. 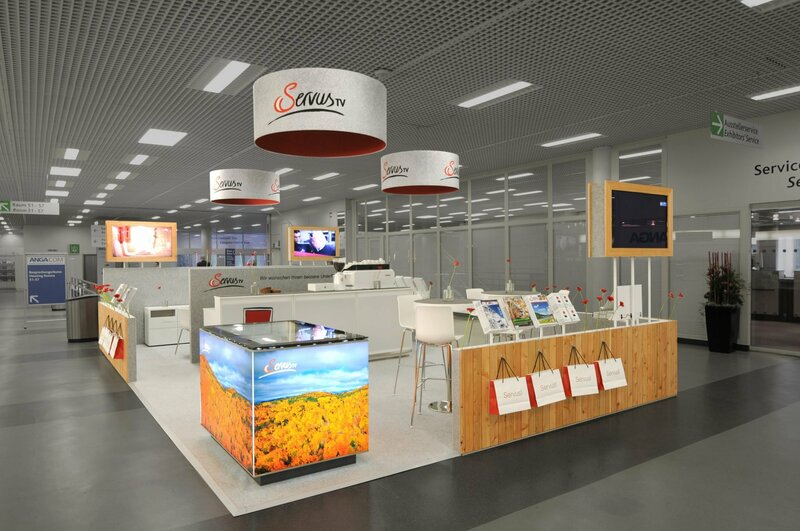 The content supplied by Servus TV was presented at a high technical level on 3D screens and an interactive multi-touch cube. 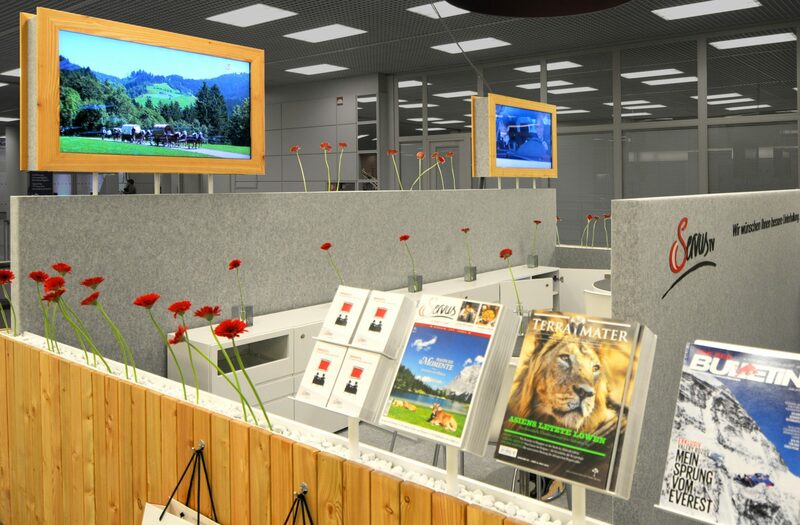 In the following years, the concept was implemented at several trade fairs and the trade fair elements were always reused in an ecological and cost-saving manner.